Curious about what other customers have said about us? Check out our reviews. Buying a car ranks right up there with the most dreaded things in my life. I have always felt "soiled" after I leave a car dealer. I visited 2 of Armstrong's competitors and purchased my last car from one of them. I saw a car I was interested in online and asked if it was still available via an online inquiry. I was lucky enough to get a response from Steve Simmons. I have purchased a number of cars in my life time and can honestly say I have never encountered a more thorough, thoughtful and respectful professional in the car business. I wasn't pushed. I wasn't cajoled or switched or pressured in any way. A sincere statement of facts and my options within those facts. I feel I got a great deal. I don't feel like someone pulled one over on me. What a pleasant way to buy a car. Here at Armstrong Volkswagen we are not only Portland's only exclusive Volkswagen dealer, but we are also a family owned business. We have been helping drivers find their next vehicle for over 25 years. We service the Portland, Beaverton and Vancouver, WA area by offering a wide range of vehicles and services. 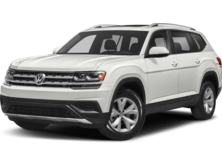 We not only carry the most popular brand new Volkswagen vehicles like the Passat, Golf, Jetta and Tiguan, but we also have a selection of pre-owned vehicles for those drivers shopping with a tighter budget in mind. Whether you are looking for something compact and fuel efficient or spacious and full of features, we have it all. Not only do we have a lot of options, we will also help you find the vehicle of your dreams at a price you can afford. 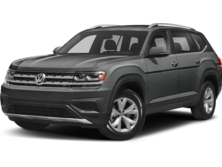 Buying a new vehicle has never been easier here at Armstrong Volkswagen. See your Volkswagen dealer for details. Includes: Front and rear toe-in, toe-out and camber check. Ball joints and tie-rod ends check, tire wear and air pressure check, suspension inspection, and other adjustments as needed. We will advise the cost if a 4 wheel alignment is needed.